Is TV becoming too ‘arc heavy’? Do you remember how TV used to be? You could just sit down and watch a show without having any prior relationship with the property. Everything was simple and easy to understand. Admittedly some shows needed Rupert Giles explaining what a slayer was through a ‘previously on’, but for the most part we all muddled through. She grapples with vampires and grammar, much like I do. However for the most part that’s all changed now. Thanks to the likes of The Wire, Deadwood and Battlestar Galactica there is now a popularised emphasis on ‘arc heavy’ storytelling; every episode is part of a continuing story. No longer can one sit down and watch something you’ve never seen before. Breaking Bad, Game of Thrones, Daredevil, you know the type and what they do. These shows have great narrative strength in their format; every episode, plot and character beat build towards a larger and stronger whole. The shows have great momentum and they have clear objectives. Every finale and cliff-hanger and shocking twist is earned (usually anyway) and every episode has led to that point. However does it always work? Am I saying that all TV should be procedurals? No. Am I saying that all TV should rely on case-of-the-week/monster-of-the-week/planet-of-the-week formats? Again, no. It is about applicability of different approaches. I made a poor-man’s Buffy the Vampire Slayer reference earlier and now I am going to use that show as an example. In Buffy there are usually 22-episode seasons. There are a couple of two-parters and a few individual episodes and they all build up a larger overall arc. 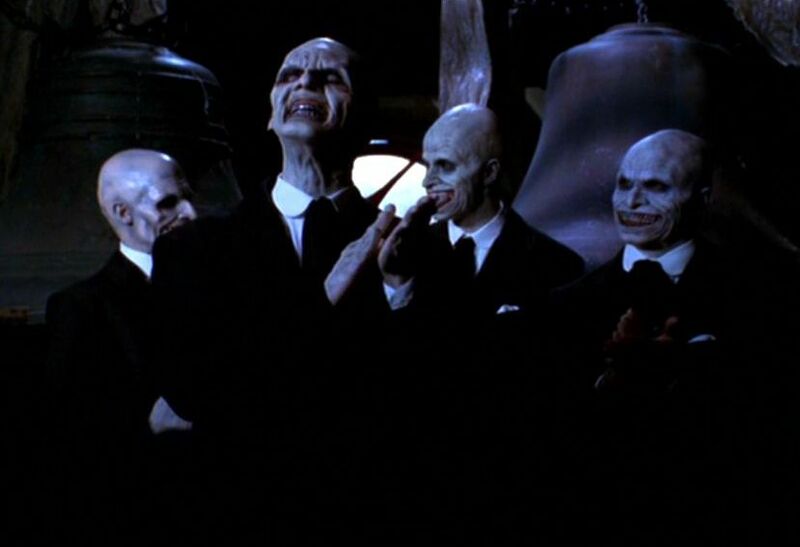 Buffy usually has a different villain each season or a ‘big bad’. These arc based episodes are a minority. Arguably Buffy could dispense with the ‘monster-of-the-week’ format and go fully arc heavy with its format. However Buffy is about a young woman fighting the day-to-day battles that life deals her, usually in the shape of analogous demons. To see this day-to-day struggle we need to see Buffy face a variety of threats whilst she’s on her nightly patrol. With Star Trek we need to see the crew go to more than one planet to be real explorers. With Elementary we need to see Sherlock solve more than one case, more than just Moriarty, to be the master detective. 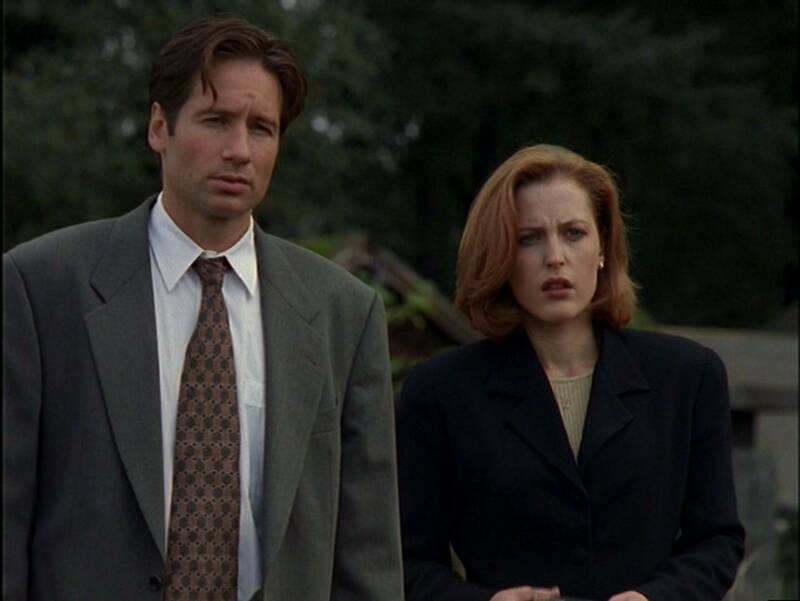 What if X-Files only had its ‘mythology’ episodes where Mulder and Scully never get anything done? Ask yourself, how well would these shows work as action/adventure pieces with only one whole adventure a season? Or even only one adventure for the whole series? Shows like Justified or Battlestar Galactica make sense for an arc heavy plot. Raylan Givens is mostly based in a single county in Kentucky and to have him coming across varied and unrelated Holmes-esque adventures wouldn’t help the slow-burn Western style of Justified. Battlestar Galactica is a down-to-Earth tale of a puny fleet on the run from an evil robot Empire so they can’t be seen coming across ‘M-class’ planets with beautiful aliens every week (or ever), it’s about the slow loss of resources and civility. Some shows can exist with lighter arcs (such as Buffy) and some can exist without any arc of any sort (Star Trek: TOS), although I’d argue sometimes they could be improved with a bit of a heavier arc (big Star Trek: DS9 and Enterprise season 3 fan right here). Many TV shows are also improved by a completely arc heavy route as we are experiencing in this ‘golden age of TV’. However I do have some concerns. Many of these concerns were epitomised by the first season of Daredevil. So SPOILERS and whatever. Take your fingers off the ink here Matty. 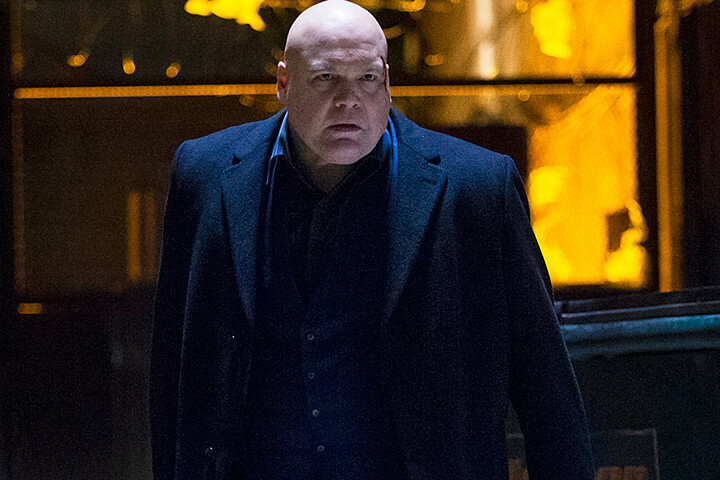 The first season of the show builds up to a confrontation between Matt Murdock/Daredevil and Wilson Fisk/Kingpin. Wilson’s empire is torn down by a single loose end that Murdock pounced upon and he is forced to go on the run. However he does this by staging an attack on a prisoner transport convoy on a raised road in front of the entire news media. This is a man who is characterised as an intelligent and resourceful criminal who is cunning even when cornered. He hasn’t even lost a trial yet (against a single known-to-be-corrupt witness) and he chooses to launch an obvious SWAT-like rescue that completely reveals his guilt for all to see. This in turn leads to an obligatory action show down between Daredevil (in his new red costume) and Kingpin. It’s always worrying when the narrative peak is a change of clothes. The plot of the first season was to build to this moment. This moment makes very little sense to the characters. I understand why it happens. The creators needed to put Murdock in the classic red Daredevil costume and have him fight an angry Kingpin much like the comics. However despite all the build up in the narrative to this point it isn’t consistent with who the characters are and how the series had presented itself up that point. Daredevil’s themes deal with poverty and the threats to the poor from gentrification and it ends its first season with a red ninja punching a fat guy in a suit. That admittedly is a blunt metaphor worthy of some comic book adaptations, but not for one that presented itself so skilfully up to this point. Thus the benefit of arc heavy TV (build up of momentum to a strong finale) is undone by a single mistake in the story. As it is all linked throughout the season it retroactively makes what came before the mistake weaker as a result. If your show is about a superhero/vigilante and you balls up the finale it’s a lot less sour when you’ve had great case-of-the-week stories along the way. 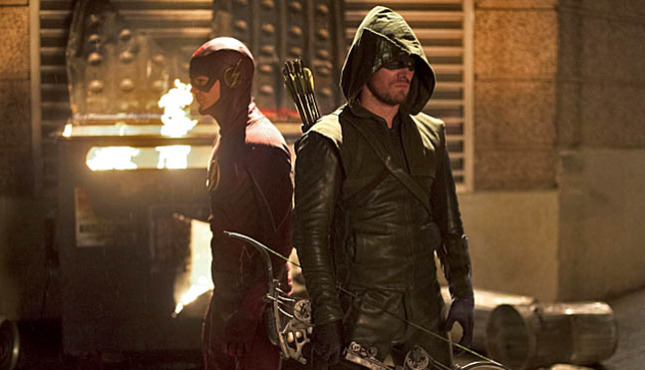 Despite Arrow’s comparatively weaker production values, writing and acting it is fundamentally less infuriating when it mucks up a finale (as it did with season 3) because we’ve seen Oliver Queen have many other adventures along the way. 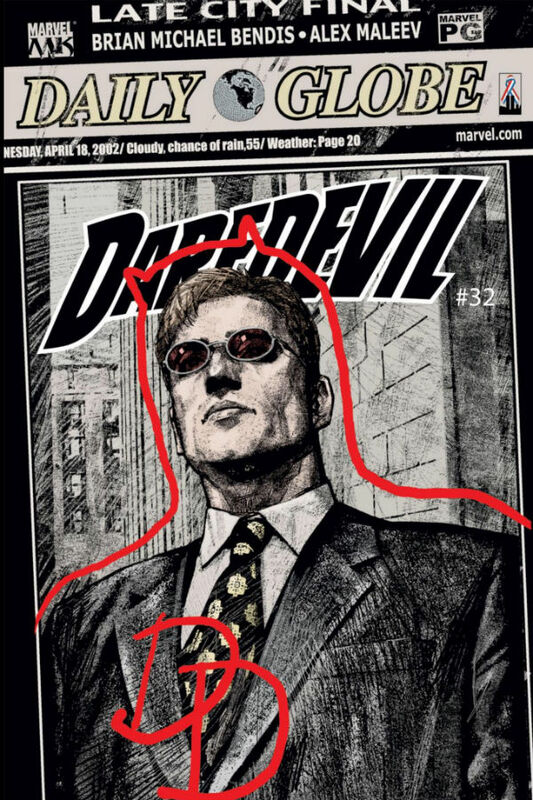 My concern with Daredevil isn’t that it means arc heavy plotting is weak or pointless, it is certainly appropriate for match the tone of the comics, but that it’s effectively putting all your eggs in one basket. In essence the contemporary emphasis on arc heavy TV has lead to some of the greatest TV of all time, but when it fails it fails hard. Buffy’s weakest ‘big bad’ arc is generally considered to be ‘Adam’ in season 4. But season 4 also experienced great TV through unforgettable monster-of-the-week stories such as Hush and Restless. 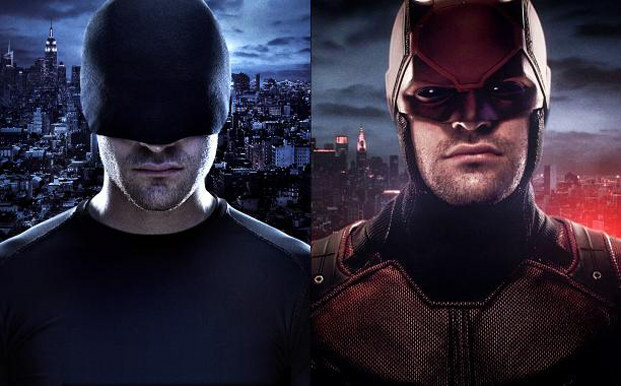 Thus a show with the plotting structure like Buffy or Arrow can drop the ball and still ultimately succeed whilst Daredevil shot itself in the foot. 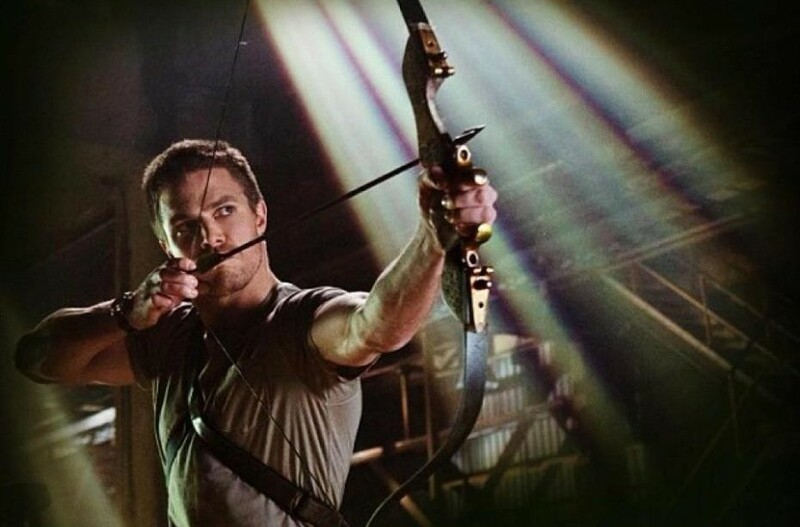 Meanwhile, Oliver Queen makes a habit of shooting other people in the foot. Ultimately arc heavy TV entirely rests on execution. Is TV now too ‘arc heavy’? I’d say it’s not. I’d say that some shows risk failure when they don’t need to and some don’t risk enough to achieve greatness. Writers more than ever need to learn to find the tone and appropriate style of their shows before it’s too late. It’s an exciting time for TV, but let’s still have some sympathy for the older generations who still think they can turn on anything and know what the hell is going on.